Perfect for DIY projects or reviving old pillows, a feather bun features 90% duck feathers and 10% duck down enclosed in a cotton casement (or bun). 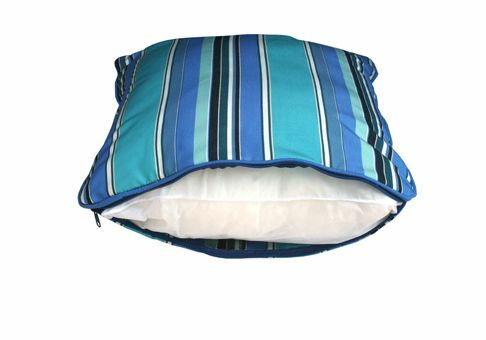 This creates a soft "inner pillow" that fits inside your new fabric shell or existing pillow covers. 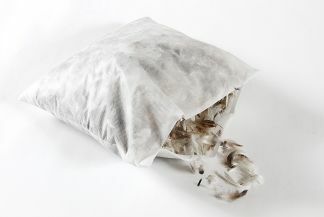 Feather buns should only be used indoors and can easily be removed for cleaning or switching out pillow covers. Feather bun dimensions are based on measuring along the cut edge, not the width. Once filled, the height and width will be slightly less than the measurements ordered. For example, a 12" x 12" feather bun will have finished dimensions of 11" x 11".